Roskilde will become the first municipality in Denmark to introduce electric buses on all intercity bus lines. The buses will hit the roads in the spring of 2019. Roskilde Municipality has set itself at the forefront of green development by reorganizing its public transport. In cooperation with the public transport company, Movia, Roskilde Municipality will roll out electric buses on all nine municipal bus lines. The electric buses, which will start running in April 2019, will transport approximately 2.8 million passengers each year. The transport company Umove East has won the bid, at no extra expense to the municipality than the current diesel-run buses. The municipality’s new electric buses are produced by the Chinese company, Yutong. The chosen model, the E12, is a 12 meter long low-floor city bus, awarded the environmental bus of the year in 2017. From April 2019 all intercity bus lines in Roskilde Municipality will be covered by award winning electrical buses. The E12 can drive 280 kilometers on one full charge, which can last a full day. The buses will help eliminate the emission of NOx particles and reduce CO2 emissions from municipal public transport. In addition, they make only half as much noise as the municipality’s current diesel buses. 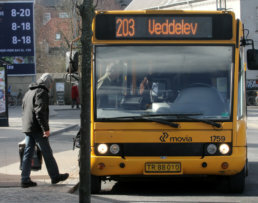 Roskilde Municipality will become the first municipality to comply with the agreement established by Movia and Danish municipalities: that bus operations are fossil-free by 2030. Electric buses do not emit local air pollution and therefore improve air quality. The reduced noise from the buses also helps to ensure higher quality of life for the area’s inhabitants. By purchasing 20 environmentally friendly electric buses, the municipality is supporting sustainable industry and innovation, two crucial drivers for economic growth and development. By replacing diesel buses with electric buses, Roskilde Municipality reduces its CO2 emissions, and takes action against climate change. 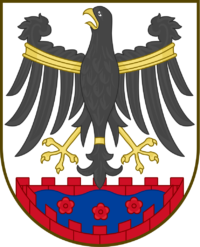 Roskilde Municipality is home to +85,000 citizens, and the municipal administration employs +7,500 people.